If you're in the market for a new car and not a crossover, SUV or a pickup truck, there's no shortage of choice and great deals out there right now. But just because you've decided you want a car and not another type of vehicle, there's still a decision to be made about what size and type of car to go for. A lot of focus is put on comparing like with like, such as subcompacts with subcompacts, full-size with full-size and so on. However, it's also entirely possible to want to compare different sizes of car with each other if you're open to offers, so here's our 2017 Ford Fiesta vs. 2017 Chrysler 200 comparison to see how these two square up against each other. Both of these are good looking cars, but the 2017 Ford Fiesta has a big advantage over the 2017 Chrysler 200 right from the start as the Fiesta is available in both hatch and sedan formats while the 200 is a sedan-only offering. As a sedan it's possibly neck and neck between the Ford and the Chrysler but the Fiesta hatch is more stylish, sporty and practical, so it definitely has the edge here and those attributes could also make it more appealing to younger buyers and therefore a wider audience as a whole. And when it comes to the ST versions of the Fiesta there's a performance aura about them that's just not available with the Chrysler 200. Even when it comes to things as simple and basic as exterior colors, there's a vibrancy and youthfulness about the Fiesta palette that makes the options for the Chrysler look decidedly dowdy. The Fiesta has an advantage over the 200 right from the start here too as it has three different engine options while the 200 only has two. The Chrysler does have a V-6 that many will welcome, but that's a bit of a retro move these days as modern smaller displacement three and four-cylinder powerplants can deliver equal amounts of performance but with greater efficiency. The standard engine in the Chrysler is a 2.4-liter inline-four that develops a useful 184 horsepower and 173 lb.-ft. of torque, but the Fiesta can eclipse that with its own inline-four 1.6-liter EcoBoost that produces 197 horsepower and 202 lb.-ft.
Obviously the midsize Chrysler 200 is bigger and heavier than the Fiesta, so it's perhaps only to be expected that the Ford would be better on gas. But the more aged design of the Chrysler's engines doesn't do it any favors in this important area either, so the gap between them is bigger than maybe it should be. The inline-four in the Chrysler isn't too bad with EPA ratings of 23 mpg in the city, 36 mpg on the highway and 27 mpg combined. But the Fiesta leaves its rival here a long way behind with best figures of 31 mpg in the city, 43 mpg on the highway and 36 mpg from the 1.0-liter EcoBoost inline-three with the SE Fuel Economy Package. 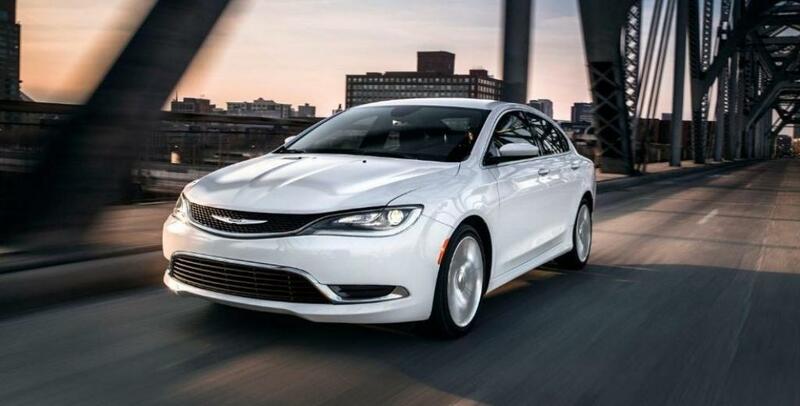 The rough rule of thumb usually means bigger costs more than smaller, so it's only right that the 2017 Chrysler 200 should have a higher starting price than the 2017 Ford Fiesta. But if you are open minded about which one of these to buy, the gap in what they cost could be a huge deciding factor in favor of the Ford. Even before we look at what you actually get for your money, the 200 costing from $22,115 compared to just $13,660 for the Fiesta makes you start to think about what you might do with money you'd save buy choosing the Ford. There's more power available with the Chrysler 200, but performance isn't just about power. The 200 has what's been described by The Car Connection website as "predictable, unremarkable handling," and that's an accusation that could never in a million years be levelled at the Fiesta. By way of contrast, the same website's review of the Fiesta says the Fiesta: "does a great job convincing you it has more performance credentials than it really does, and good steering and suspension tuning is key to this. The electric power steering system has just the right amount of weighting and feedback, and the Fiesta feels responsive and nimble, but secure enough for highway trips. 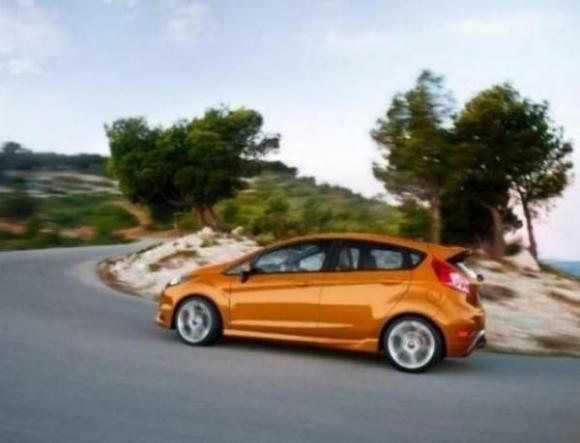 Perhaps not a knockout punch on its own, but it certainly makes you want to test drive the Fiesta before the 200. The 2017 Chrysler 200 is an attractive midsize four-door sedan and the V-6 version offers more power than many rivals of a similar size. Unfortunately for the 200, the 2017 Ford Fiesta just offers so much more for a considerably lower investment. There aren't too many cars with a roof that can deliver as much driving fun as the Fiesta, especially for such a modest price. The fact you can also have the Fiesta as either a hatch or a sedan just seals the deal really. Perhaps the fact the 2017 model is the last one for the 200 tells us all we need to know really.